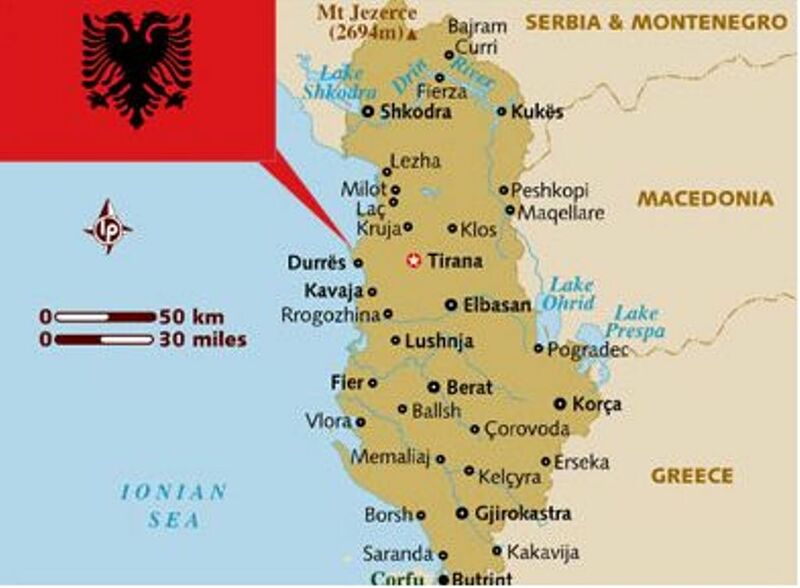 Albania is coastal country, near the seas Adriatic and Jon, in front of Italia and Greece, in an average of nearly 40 miles far away from them. It is a Mediterranean country, with over 300 days of sun in the year and this makes it a country with great opportunities in tourism. It has many rivers across mountains and across fields, it has lakes and many water fountains where are built hotels and modern tourism spots for coastal, fluvial and mountain tourism. It has many antique towns, from the oldest that are discovered archeological excavations, and this makes Albania one of the oldest township in the world and creates opportunity for grater development of archeological – cultural tourism, but are rare the recourses of free Euros for investment. There are many properties like lands, pastures and forests that may be sold. In the same way, also many hotels and other business buildings are for sale because their owners don’t have investment opportunity. Albania represents interest for great investment in the field of electrical energy too. Since it has many lakes, there are given many licenses to built hydropower-stations from 1 – 10 – 20 – 30 – 50 and over 100 megawatt each, but they who have taken these licenses do not have the opportunity to investment and to built and sale them with all the projects done. There are over 200 licenses of hydropower-station in sale. The country guarantees the purchase of the energy for over 35 years after the construction of the hydropower-station. Also, are given some licenses to built the wind grinder and to produce solar energy with photovoltaic panel, but also for these projects too, they who have taken them do not have the opportunity to invest. There, also are licenses to construct factories to produce cement with competitive quality in Europe and in the world. But they risk to be never built if the foreigner investors do not come closer to help us. In Albania, there are also chrome, iron – nickel, cooper, cobbles, marble, etc, mines which has been untapped and can be obtained with concession. There are also some oil recourses untapped which can also be obtained with concession. There can invest in the fields of agriculture and farming too, because most of the land is uncultivated because of the lack of investment. Albania is a hospitality country with a legislation that guarantees foreigner business and which has opportunity to invest in many fields. It will be enough if foreigner banks come closer to accredit the projects or if the foreigner investors come to purchase properties, to invest on their own or in cooperation with Albanians.